As part of our evaluation program to ensure HCTF funds are benefiting fish and wildlife conservation, HCTF staff regularly visit project leaders to get an in-depth look at their projects – both on paper (financials) and on the ground. In early June, HCTF staff biologist Lynne Bonner and financial officer Katelynn Sander travelled to Terrace to meet with Regional Fisheries Biologist Jeff Lough to learn about his project Kitimat River Cutthroat Trout Behavioral Assessments. The Kitimat River drains a large coastal watershed and discharges into the head of Douglas Channel at the town of Kitimat. It is a high priority for coastal cutthroat trout because of impacts from multiple human activities in the watershed. It also supports a popular fishery for both local and visiting anglers and the angling effort is significant. Prior to this study, information on the coastal cutthroat population was limited and anecdotal. This project aimed to investigate the patterns and behavior of coastal cutthroat, in an effort to understand how best to keep the populations healthy and sustained. In a joint radio telemetry and genetic analyses study with the University of Northern BC (UNBC), key cutthroat spawning, migration, and overwintering areas were identified. By understanding these crucial behavioral patterns, managers will have a better idea of where and when these populations are most vulnerable, and what actions are required to help protect them. Project data and results are being analysed and rolled into a MSc thesis by UNBC MSc candidate Eric Vogt who carried out much of the fieldwork. The study results and options for management will be used by the Ministry to help inform land use decision making in the Kitimat watershed and sustainable angling regulations for the Skeena Region. After a couple of hours in the office reviewing invoices and project objectives we were anxious to get out and see the actual project area. Jeff had arranged (and HCTF funded) a one-hour helicopter overview of the watershed. The flight took us over the upper Kitimat River where timber harvesting had clearly impacted the entire valley over the past couple of decades. Farther down the mainstem, Jeff pointed out the many side channels and small feeder streams that were highly productive cutthroat trout spawning and rearing habitat. Several large tributaries, such as the Wideene, extended cutthroat habitat up into the mountains. These habitats and their importance to all stages of cutthroat life history are the key pieces of information gleaned from this HCTF project’s telemetry work over the past 3 years. Evidence of oil and gas development appeared at various locations in the valley and as we approached the lower reaches of the Kitimat River towards the estuary, industrial development intensified with the former pulp mill site, the aluminum smelter and the village of Kitimat spreading out below. We also saw anglers fishing for salmon along the river, reminding us that cutthroat trout fishing is very popular at various times throughout the year. Our evaluation and review illuminated the practical and financial challenges presented by this type of habitat assessment study. This three-year project was complex in nature, due to multiple partners and multiple contract extensions, but the financial aspects were well documented. Clearly written and timely proposals and reports enabled us to better understand the project objectives and expected outcomes. A big thank you to Jeff for taking the day to explain his project and to the other members of the team that helped make this project a success – Dr. Allan Costello, UNBC, grad student Eric Vogt, UNBC, and in-kind contributions from DFO, the Steelhead Society of BC, Kitimat Rod and Gun Club, and Haisla Fisheries. We were impressed with how well this project was implemented and managed. And finally, we are particularly pleased that funding emerging from an environmental infraction (court awarded to HCTF) was put to good use and managed effectively and efficiently for conservation. 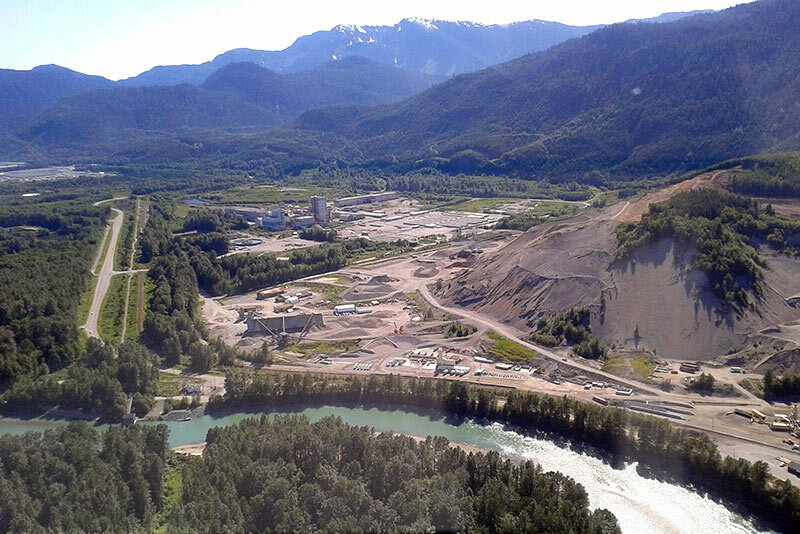 This project was initiated in 2012-13 after HCTF received Court Award funding when a company was fined for an environmental infraction at the mouth of the Kitimat River. A creative sentencing provision in the Fisheries Act enabled a portion of the fine to be directed to HCTF. These funds were then invested into the same watershed where the original violation occurred. For additional information on HCTF and creative sentencing, click here. While the Court Award ($60,000) was the catalyst, over the three years of the project HCTF contributed an additional $200,000.